They have a little bit of everything, from free tutorials (ans paid ones) tosoftware reviews, inspiration, interviews or events. As they say, this site is a source of learning on all aspects of 3d architectural visualization. In the blog & forums you will find articles & tutorials about 3d modeling & rendering with software such as 3ds max, Cinema 4D, V-Ray, SketchUP, Maxwell Render, Corona Renderer, Photoshop and more. This site will fit beginner, intermediate and advanced CG artists. This is a community of architectural visualization and design professionals and an online magazine. It has another site, CGschool, where they offer a variety of classes and tutorial, some of them for free. ”Mastering CGI was designed to bring the CGI world the best set of training courses ever constructed. For too long professional artists have been struggling to find quality tutorials on software such as V-Ray and 3DsMax.” This site has no free stuff, you could sample some of Grant’s courses, but you will have to pay (no that much) for the good stuff. And believe me, he knows what he is talking about. After his course ‘Mastering Vray’ you will really understand how vray does things. Seriously, if you can afford it you will not regret taking this course. 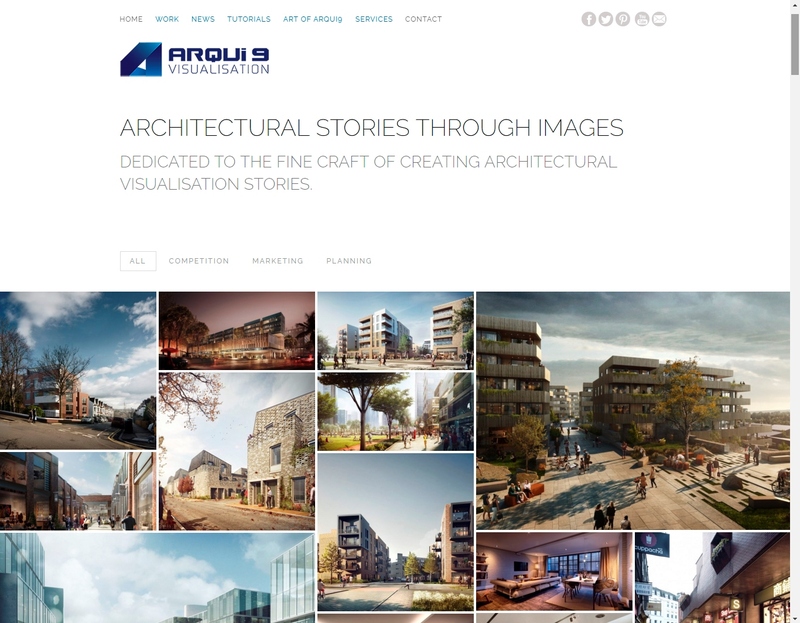 ”Arqui9 Visualisation is an award winning studio dedicated to the art of crafting architectural visualisations for the (un)built environment. This ”Matte Painting Tutorial for Architectural Visualisation”, is one of my favourites. These are may favourite to go places for architecture visualization, there also great learning platforms out there with free courses and tutorials. But that will be an entry all of its own.